In February, 2017, the Forest Practices Board received a complaint from the Lhtako Dene First Nation asserting that planned harvesting in two landscape units by Tolko Industries Ltd. will impact moose populations and landscape-level biodiversity in their Traditional Territory. The Lhtako Dene also said that communication with Tolko has been difficult and that they did not receive landscape-level biodiversity assessments they requested from Tolko in a timely manner. After meeting with the Ministry of Forests, Lands and Natural Resource Operations and Tolko, the Lhtako Dene say that communication has improved and they are satisfied that their complaint has been resolved. As part of the Forest Practices Board’s 2013 compliance audit program, the Board randomly selected the Quesnel District as the location for a full scope compliance audit. Within the district, the Board selected forest licences (FLs) A65926 and A81934, held by Ndazkhot’en Forest Management Ltd. (NFM) and located in the Quesnel Timber Supply Area (TSA), for an audit. NFM operates on two forest licences within the TSA. Forest Licence A65926 was issued on February 15, 2002, with a term of 15 years and FL A81934 was issued on January 1, 2008, with a term of 5 years. The licences have an allowable annual timber harvest volume of 70 000 cubic metres and 125 000 cubic metres respectively. Most of NFM’s operations are near the village of Nazko, approximately 100 kilometres west of Quesnel. During the two-year audit period, NFM harvested 441 000 cubic metres; 221 000 cubic metres from FL A65926 and 220 000 cubic metres from FL A89134. All harvesting was carried out using ground-based systems, and mountain pine beetle infested lodgepole pine accounted for 88 percent of the harvested volume. As part of the Forest Practices Board’s 2011 compliance audit program, the Board randomly selected the Quesnel District as the location for a full scope compliance audit. Within the district, the Board selected occupant licences to cut (OLTC) L43043 and L48493, held by Troll Resort Ltd. (Troll). The OLTCs were awarded under the Forest Act, but because they are contained within the Troll Mountain Controlled Recreation Area (CRA), designated under the Resort Timber Administration Act and the CRA Regulation, they are administered by the Ministry of Forests, Lands and Natural Resource Operations, Resort Development Branch. 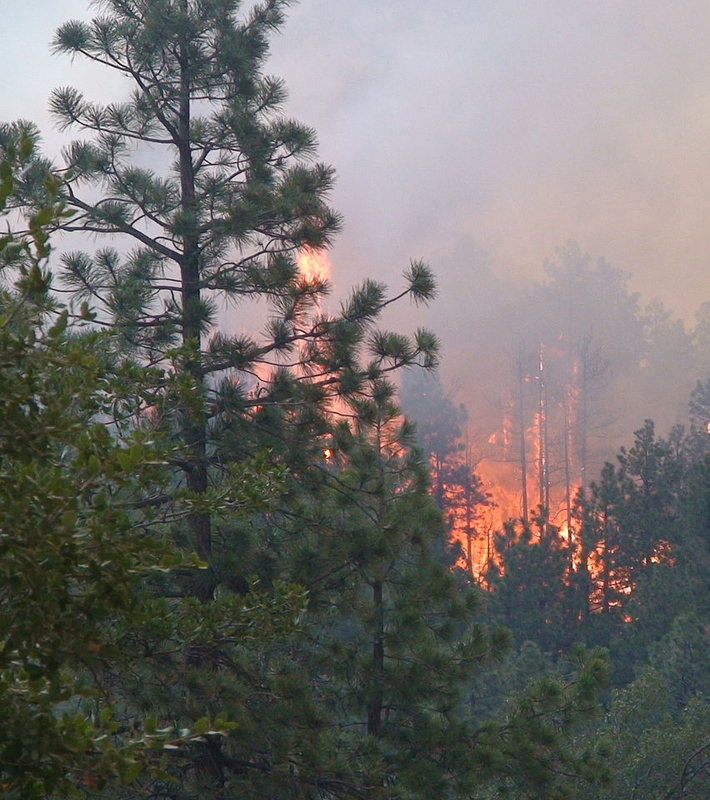 While forest practices are not administered under the traditional legislative framework, the licencee still must meet the requirements of the Forest and Range Practices Act, Wildfire Act and related regulations for OLTCs. In June 2009, the Board conducted a full-scope compliance audit of forest planning and practices on woodlot licence W1050 in the Quesnel Forest District. This woodlot is located within one hour’s driving distance of Quesnel (see map on page 2). The audit assessed 15 cutblocks, more than 12 kilometres of road activities and obligations, as well as operational planning. The Board notes that the holder of woodlot licence W1050 complied with legislative requirements in all significant respects. In June 2009, the Board conducted a full-scope compliance audit of forest planning and practices on woodlot licences W0512 and W1516 in the Quesnel Forest District. Both of these woodlots are located within two hours’ driving distance of Quesnel. fire protection at active work sites. All activities, planning and obligations for the period January 1, 2007, to the day of the field audit in June 2009, were included in the scope of the audit. British Columbia is engulfed in a province-wide mountain pine beetle outbreak. Salvaging value from the dead pine trees is a government priority. To facilitate the salvage effort, government increased the allowable annual cut (AAC) by 80 percent in the three most severely affected timber supply areas; the Lakes, Prince George and Quesnel TSAs, which are also the study areas for this project. The increased AAC led to concerns about the stewardship of non-timber values such as wildlife and biodiversity. To accommodate these concerns, the “timber uplift” (AAC increase) was to be accompanied by a “conservation uplift” (an increase in retention of mature forest structure in harvested areas). As part of the Forest Practices Board’s 2009 compliance audit program, the Board selected five woodlot licences in the Quesnel Forest District (the licences) for audit. This is the audit report for Woodlot Licences W1412 and W1592.